It was just last month that Vogue Arabia celebrated two years of publication with Gigi Hadid, and the magazine isn’t showing any signs of ditching its boundary-pushing aesthetic just yet. 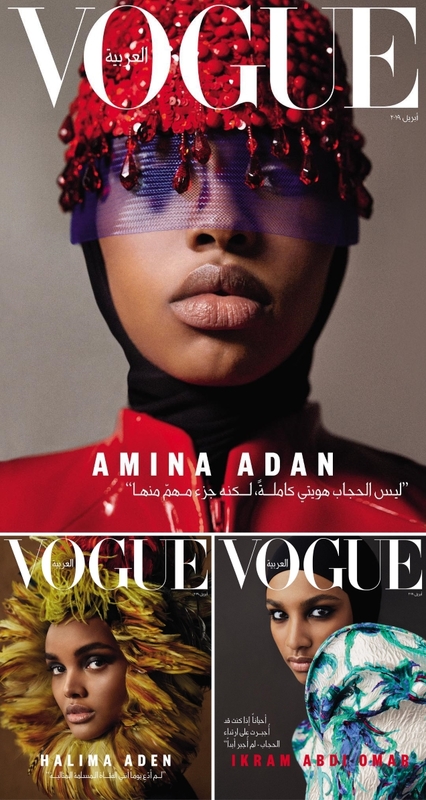 Always one to highlight their culture (which can, unfortunately, be a rarity), Arabian Vogue welcomes Halima Aden, Amina Adan and Ikram Abdi Omar onto the cover for April 2019. The trio of Hijab-wearing beauties shatter stereotypes in a series of four celebratory covers. 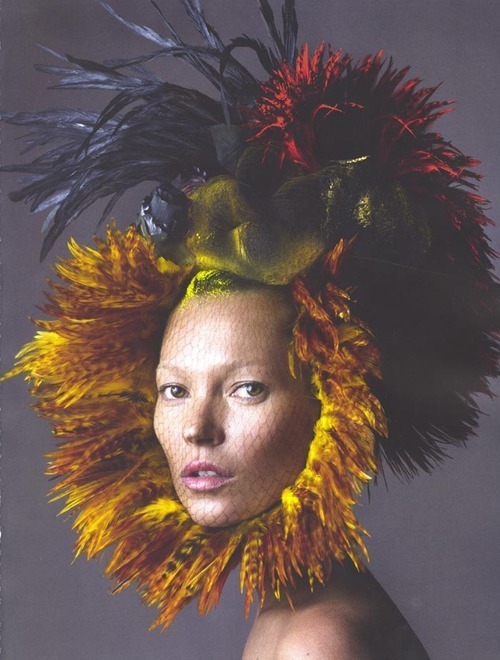 Photographed by Txema Yeste and with Katie Trotter on styling duties behind-the-scenes, the girls pose together in cover one (below) and each goes solo on the remaining bold, unique and distinctive covers (pictured after the jump). Members of our covers were intrigued. “Wow, striking! Particularly like the contrast. A minor quibble would be to just zoom it out a tad more to see the fashion and make it look like the white space is, in fact, three separate bodies. But it’s a great shot nevertheless. Wish Ugbad [Adbi] also got this cover,” voiced Benn98. “Wow I love this! Where is Ugbad though? Halima looks AMAZING! Stunning cover,” chimed in RMDV. “Beautiful cover, has a slightly classic/vintage vibe to it but it also feels very current,” Wintergreen admired. “It’s just a gorgeous cover shot, the art direction is a bit too UK Vogue, but they all look so beautiful, and content, I like it,” approved Miss Dalloway. Are you fans of the covers just as much as we are? Show your favorite some love and join the conversation here. 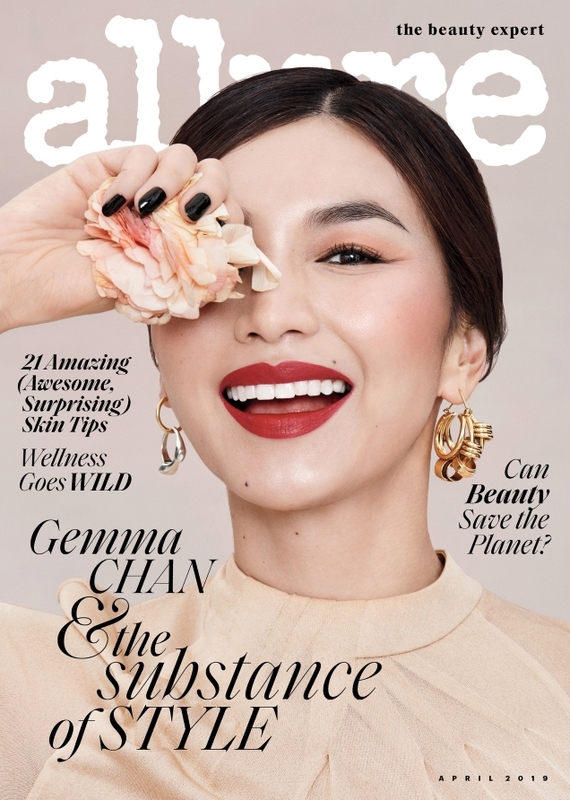 It is on a very rare occasion that a magazine cover features a fresh new face, and thankfully someone who is lacking in newsstand presence graces British Harper’s Bazaar for April 2019. We’ve come to admire the magazine for being persistent with its quintessentially British vision, which most of the time works oh so wonderfully well (see the Cate Blanchett, Emily Blunt and Saoirse Ronan covers). 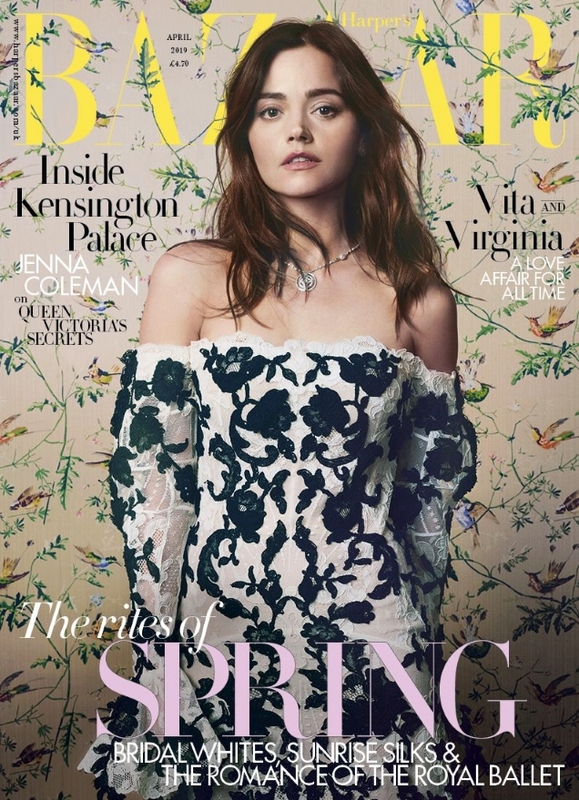 This month sees actress Jenna Coleman making her debut as a Bazaar cover girl, receiving the full cover treatment throughout the shoot, which was captured around the majestic surroundings of Kensington Palace. Shot by David Slijper and styled by Miranda Almond, Jenna gives us young Keira Knightley vibes in the two covers, wearing a floral Alexander McQueen number in the newsstand cover (below) and a show-stopping Emilia Wickstead gown in the subscriber alternative (after the jump). Did the covers receive the all-important approval from our forum members? “I have no idea who is she, probably a local celeb, but glad a new face got the cover. And it’s a nice spring-like one,” admired Srdjan. “Nice to see Sljiper back shooting for them,” added 8eight. “I miss those times when covers were either conceptual or naive, but speaking to some theme or season just like this one. Simple and nice to look at. When people wanted to be just glamorous. Nowadays it is rare to get quietly elegant covers without something vulgar,” appreciated dontbeadrag. However, not everyone was impressed. “Very glad for Jenna and surprised that she had to wait this long for her first major cover. Pity it’s so uneventful for me. I find the dress really ugly (of course, it’s McQueen under Sarah Burton). But then they had to shoot it against a patterned backdrop. It’s just a bit of an eyesore. The yellow masthead almost disappears, and her hair and expression look blasé,” complained Benn98. “It feels a bit like they were so excited to be allowed to shoot a cover inside Kensington Palace they completely overlooked the fact it isn’t actually very cover-worthy,” noted an underwhelmed honeycombchild. “What an insipid, generic cover,” Miss Dalloway called out. 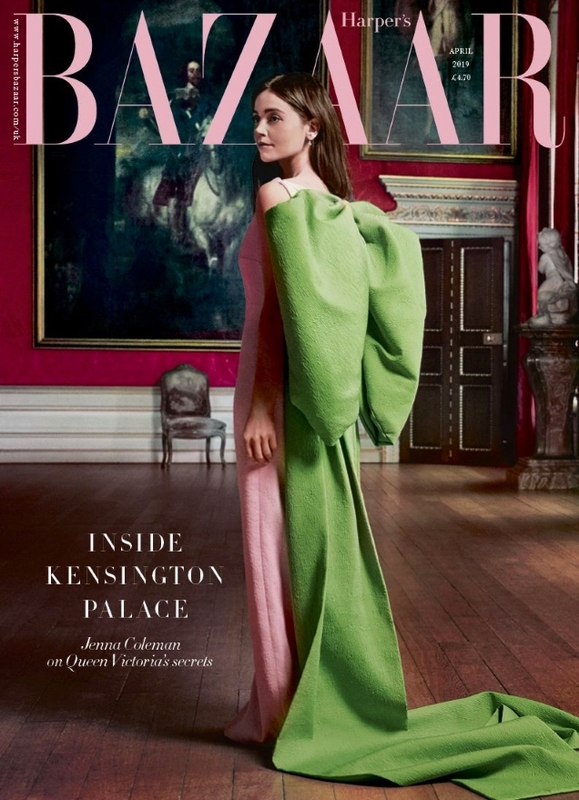 Is it a hit or miss of a cover for British Harper’s Bazaar this month? See what else the issue has to offer and join the conversation here. 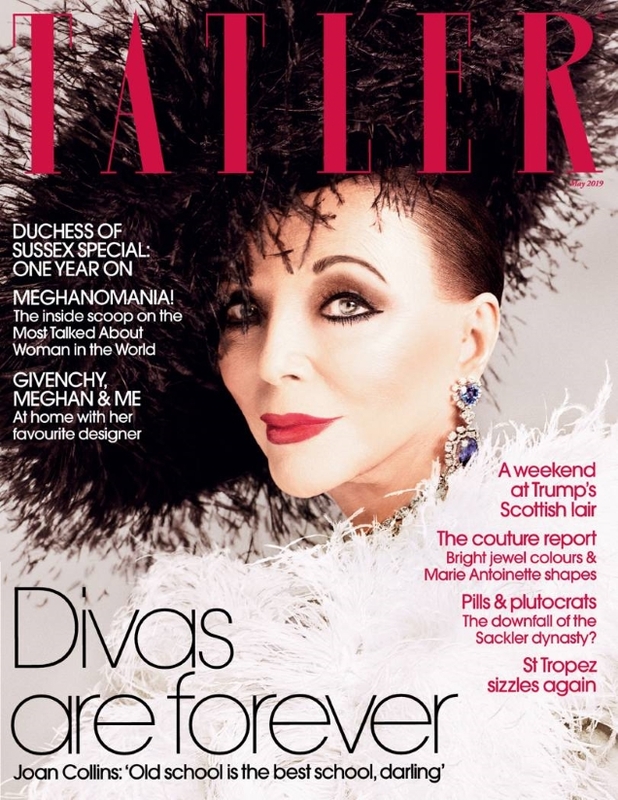 We’ve been keeping a watchful eye over Tatler ever since Richard Dennen took over the British fashion, lifestyle and society magazine back in 2018. He kickstarted his tenure with an elegant Nicole Kidman cover and 10 months later, he’s keeping up the good work. Proving age is just a number, the May 2019 cover features 85-year-old Joan Collins, who last appeared on the magazine in 1983. The legendary actress was photographed by Luc Braquet and styled by Sophie Pera in an array of diamonds and feathers for the glam cover shot. Safe to say our forum members were fans of the outcome. “All hail the queen of camp! I would’ve liked this on principle alone, that it’s such a stunning shot makes it even better. Plus it’s historical in a sense that she’s not wearing a wig! Truly a W Magazine-level portrait cover, and perhaps the strongest under the new EIC after Nicole Kidman. I’ll get it despite all those eye-rolling Meghan cover lines,” remarked Benn98. “No doubt Edward will be sure to monopolize headlines if the next issue of British Vogue goes out on a limb to ‘celebrate’ age. Here, we just have Joan Collins on the front of a magazine where it makes sense to see her, and her age isn’t really an issue,” appreciated tigerrouge. Vogue Spain just hasn’t been quite hitting the spot for us lately, having insisted on churning out a slew of lackluster covers. The magazine must’ve heard our cries for something spectacular, because they brought our the big guns for April 2019. 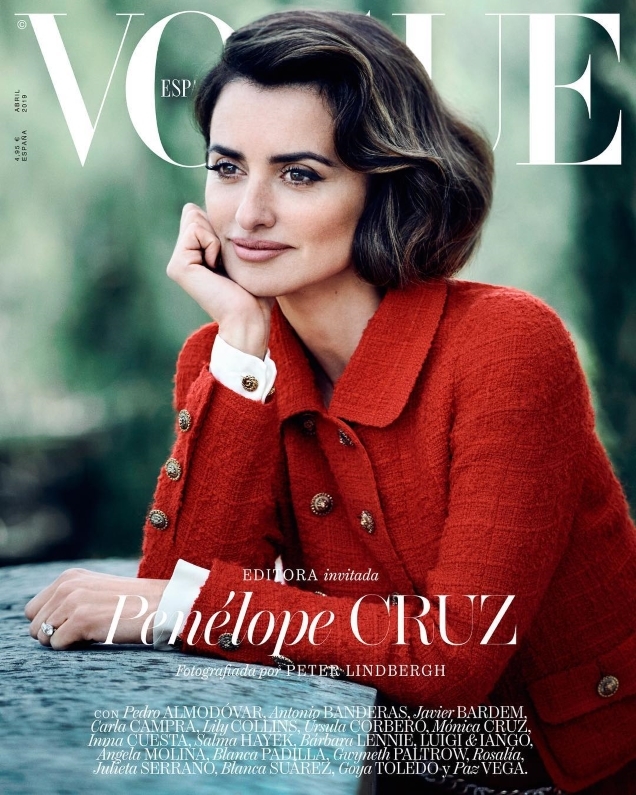 None other than Penélope Cruz (a firm forum favorite) is guest-editor of the entire issue. No stranger to the Spanish fashion bible and in true celebratory fashion, Cruz appears on not one but two wonderful covers this month. Cover one (below) captures the actress in a demure, regal and ladylike manner, shot by Peter Lindbergh wearing a vintage Chanel suit. Cover two (after the jump) is quintessential Penelope, dialing up the glam and striking a pose decked out in Versace before the lens of photographic duo Luigi & Iango. Lindbergh’s cover (above) was the first to surface. “I love it! Every time they put Penélope on the cover it’s sublime!” raved jorgepalomo. “It’s been a long time since I’ve seen Vogue España get it right like this. She looks like royalty,” admired tigerrouge. “This is one of Peter Lindbergh’s best portraits. Very cinematic, and Penelope looks stunning. She looks like a beautiful woman in her 40s, which is what she is. Bravo to Peter, and his unrelenting battle against the tyranny of Photoshop,” mepps appreciated. Discussion soon moved onto Luigi & Iango’s cover (below). “Oh wow, I’m actually mad about the second cover! And that Versace dress looks stunning on her. I’ve always believed Penélope to be more of a Versace than Chanel woman,” voiced Benn98. “Holy smoke! The second cover is hot. I live for it. She fits Versace so much better than Chanel,” agreed TaylorBinque. Check out the digital cover (which is equally as jaw-dropping) and await the contents of the issue here.